Moroccan influences abound in this exciting kilim area rug produced in mesmerizing colorways. Part of the Baja Collection, it has a handcrafted look and the natural comfort of cotton. 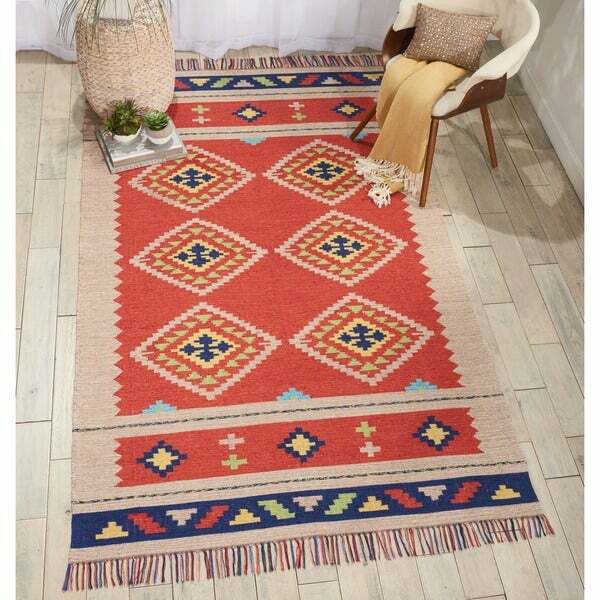 Tribal traditions are conveyed by the woven blocks of Mediterranean red and ocean blue on a natural ground. Design elements include medallions, end borders and self-fringe. An added bonus: it is reversible.